The U.S. presidential election will be held a week from today, and if the polls are correct, the outcome will be extraordinarily close. Many say that the country has never been as deeply divided. In discussing the debates last week, I noted how this year’s campaign is far from the most bitter and vitriolic. It might therefore be useful also to consider that while the electorate at the moment appears evenly and deeply divided, unlike what many say, that does not reveal deep divisions in our society — unless our society has always been deeply divided. Since 1820, the last year an uncontested election was held, most presidential elections have been extremely close. Lyndon B. Johnson received the largest percentage of votes any president has ever had in 1964, taking 61.5 percent of the vote. Three other presidents broke the 60 percent mark: Warren G. Harding in 1920, Franklin D. Roosevelt in 1936 and Richard Nixon in 1972. I went through a lot of gloves before I found the PIG Full Dexterity Tactical gloves. When I first started, I right away rejected any gloves that included special plastic or kevlar molded knuckle guards. I figured that while shooting in competition or training, or even in use on the street, having a hunk of plastic banging around and adding to the thickness of my hand would hinder more than help. Stick to the basics. Very few of the gloves I tried out below the $50 price point did the basics well. 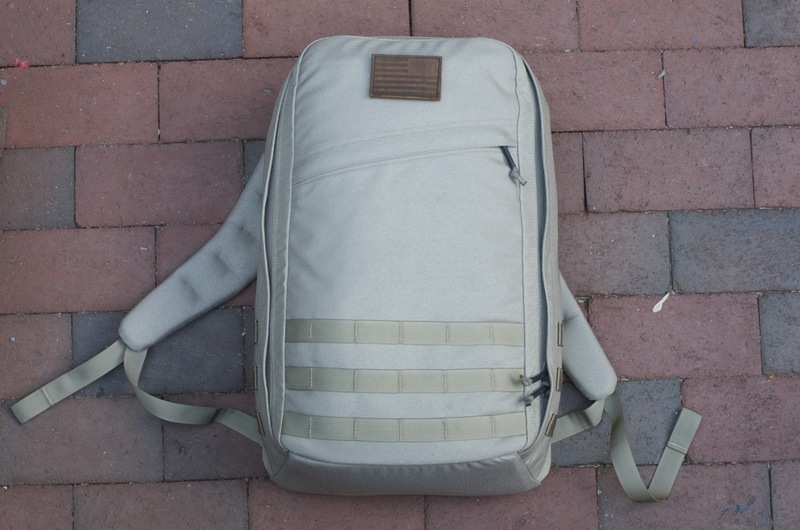 GORUCK bags are made in the United States by a former Special Forces member. On Oct. 12, a pregnant medical doctor from Guadalajara, Mexico, attempted to enter the United States through the San Ysidro border crossing. The woman reportedly wanted to give birth in the United States so that her child would be a U.S. citizen. U.S. Customs and Border Protection officers arrested the woman, who has since been charged with visa fraud in the U.S. District Court for the Southern District of California. Ordinarily, the arrest of a Mexican national for document fraud at a border crossing would hardly be newsworthy. However, this case may be anything but ordinary: Authorities have identified the woman as Alejandrina Gisselle Guzman Salazar, who reportedly is the daughter of Mexican drug lord Joaquin “El Chapo” Guzman Loera, one of the world’s most wanted men. Against a backdrop of terrorist threats, natural disasters, and heightened concern about pandemic influenza, national security policy is now based on an all-hazards approach to disaster preparedness planning. Effective local planning is critical to disaster preparedness. Military installations and their civilian counterparts — local government and local health-care providers — can strengthen local-level disaster preparedness planning. This is the second report of a larger study aiming to develop planning support tools for local military and civilian planners. It describes a prototype tool that focuses on risk-informed, capabilities-based planning to determine (and address gaps in) the capabilities and resources a locality will likely require in the event of a disaster, with the prototype demonstration focusing on earthquakes, hurricanes, and pandemic influenza. The report also describes two social networking tools for local coordination of disaster preparedness and sharing of resources. An Army sniffer dog who died of a seizure shortly after his handler was killed in Afghanistan will posthumously receive the highest Military Honour available to animals today. Faxon Firearms has designed an AK-type uppper for the AR platform that alleviates the need for a buffer tube. The gas system is designed like the one on the FAL. Watch “Special Report Investigates: Benghazi — New Revelations” on Fox News at 1 p.m. ET on Saturday, 3 p.m. on Sunday and 10 p.m. on Sunday. Navy divers assigned to Mobile Diving and Salvage Unit 2, Company 4, and the Joint POW/MIA Accounting Command, stand Oct. 19 with the American flag, and the POW/MIA flag, on the wreckage of a B-17 bomber that was shot down and sank during World War II. The team is deployed alongside JPAC aboard the USNS Grapple (T-ARS 53) as part of a 30-day underwater recovery mission for an unaccounted-for service member who went missing during the crash into the Mediterranean Sea.